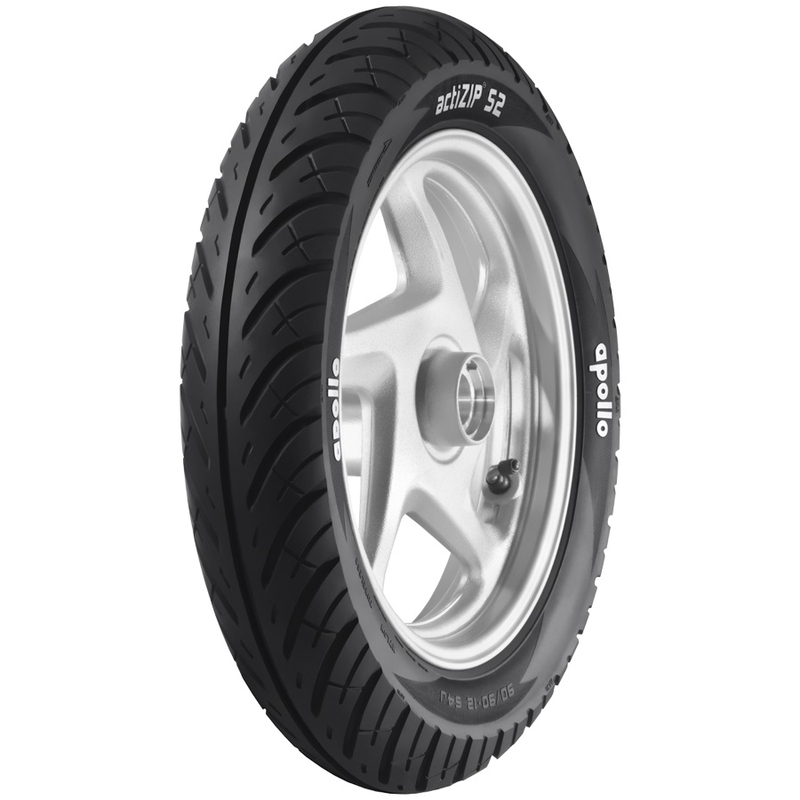 APOLLO ACTIZIP S2 TL is a tubeless nylon front/rear two wheeler tyre. ACTIZIP S2 TL is suitable for bikes with tyre size 90/90 12. Its width is 90 mm, profile or aspect ratio is 90% of width and it fits wheels with a rim size of 12 inches. It has a load index of 53Speed rating of this tyre is "J"It has 2 years unconditional warranty. This Tyre fits in the following bikes: Activa, Aviator, Gusto, Jupiter, Mahindra Scooter, MAX4R, Suzuki Scooters, TVS Scooters, Wego.